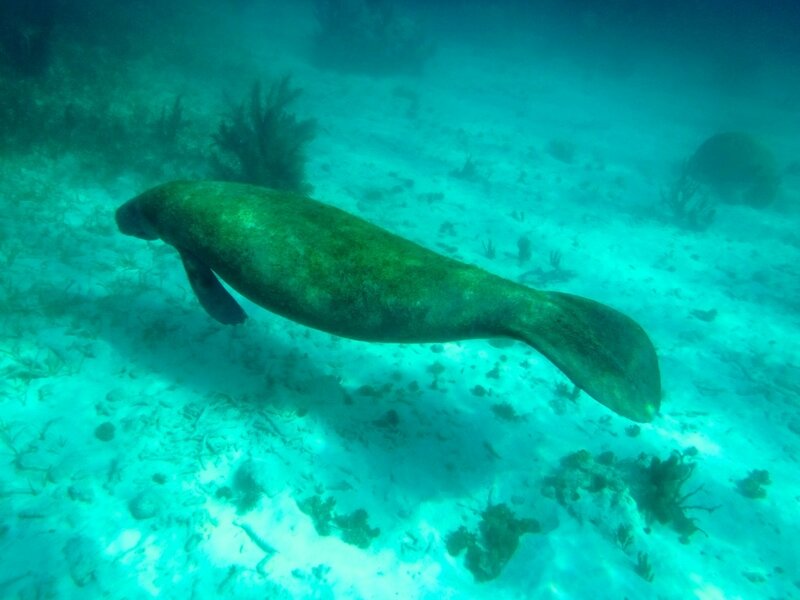 There are reported to be less than 1000 manatees in Belize, probably about 600-800 hundred or less. If you observe a manatee in Belize consider yourself fortunate to have observed the gentle manatee, as they are under extreme pressure due to increased boat traffic in their critical habitat like the Belize River, Belize City, and more recently Placencia Lagoon. It is possible to identify individual manatees? Yes, they do acquire features that can be used to identify them. Boat prop scars, nicks out of their tail, and sometimes snorkelers can recognize them at popular reef sites. Here we have a summary of manatees from Belize (and Mexico), let's see how many we can recognize! 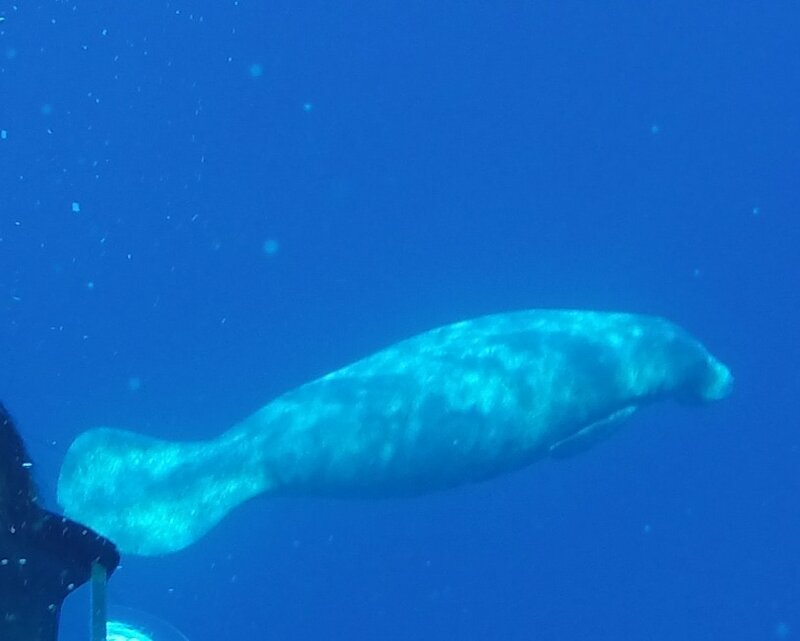 Divers from Off The Wall observed a manatee in 2016 and again in 2017. The last reported observation prior to 2016 was 2007. This image is from 2016. Photo courtesy Kendra Schofield/Off the Wall Resort. 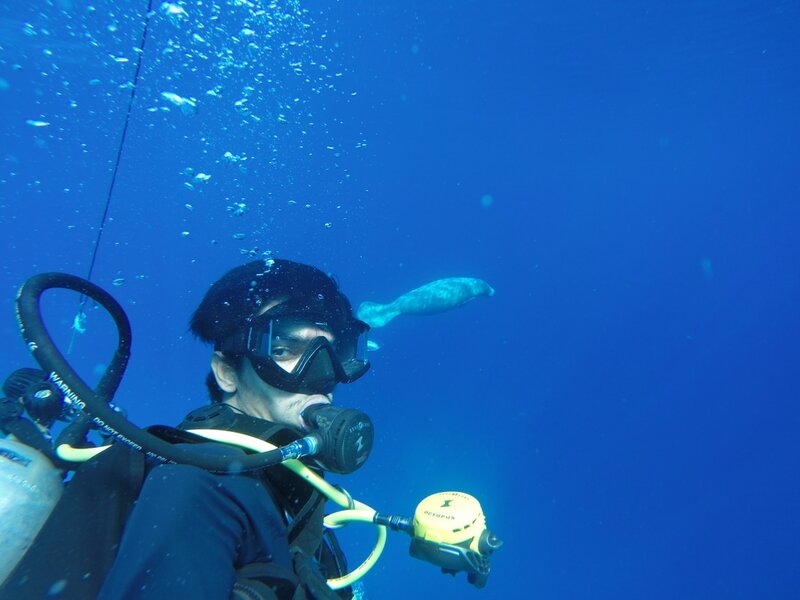 At a popular Barrier Reef dive site east of St George's Caye two manatees were encountered while diving with Sea Sports Belize. Diver Avinash Tekchandi captured video footage and a still photo on his Go Pro! The manatee in the photo has at least one notch in his tail, while the manatee that is filmed most has 2 notches in his tail. DR KAREN SELF SULLIVAN - DROWNED CAYES - pre 2010? ROBERTO HERRERA - Xcalak, Mexico - Just up the coast from San Pedro, Ambergris Caye. Photo by friend of Robert cousin!